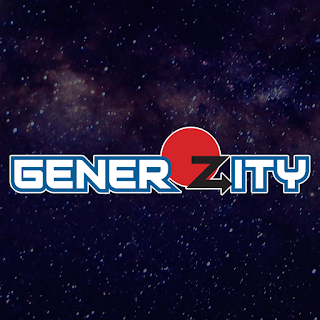 Below is an update from the guys over at Generozity with a wrap up of this years fund raising during the weekend of PAX 2018. A big congrats to them and everyone who supported their cause. "GenerOZity can't thank you enough for your fantastic support. Putting on a live convention show on top of live-streaming internationally was immensely fun, but it's just the start. It's a starting line that we've needed time, patience, and a lot of help to get to - and we got there with you. Being a part of PAX Aus 2018 was fantastic and educational. While we'll be getting back to our larger-scale format for the next biannual stream (with more hours, guests, and the Night Shift™), we'll be using the experience to step up our game for future live audience events. Interacting with Australian gamers, watching donations to CheckPoint and Child's Play roll in, seeing people support their favourite creators, and having a live studio audience where people could come and interact with us - this was all a humbling experience. By the time PAX closed, we'd raised $8,553.40 AUD. That's over half of GenerOZity #4's total, and within only 33% of time from last show! We’ll definitely be aiming to return next PAX (if they’ll have us again!). With that, we’re also going to be trying some more weird and experimental stuff - like our panel this year! You’ve all inspired us to work on delivering better experiences not just for viewers at home, but future studio audiences. Over the next year we’ll be unveiling some big plans and ambitious goals. We hope that we’ll be able to work with you on them every step of the way, because it’s been a wild ride so far and you were a big part of getting here." p.s. We would like to thank the Those Wizards team for volunteering their time to capture and produce some-eye melting content during the PAX Aus expo. Rad.